Success? By Whose Yardstick? – Whose Dream? I had been sold a bag of goods. I’d embraced the American Dream as the way to happiness, and come up empty. All the outward signs of success were mine: a beautiful home, nice car, blooming career, and lovely wife. But inside I felt like a desert. Something was missing. I began to search the Scriptures and talk to God about my emptiness. My eyes soon came to rest on today’s Key Bible Verse. Joshua had been given the huge task of leading his people in occupying the land God had promised them. They’d have to fight for it. But God assured Joshua that he’d succeed if he made sure to do things His way. Suddenly it hit me: I’d let culture define success for me. But God’s idea of success is to pursue His plans for our lives, obey His Word, and use our lives for the good of others. Joshua got the message, and he and his people won big. I decided to do life God’s way. I filled my mind with Scripture and sought God’s plans for my life. Good things happened. Like Joshua, I saw God work through me in wonderful ways. The sense of accomplishment and satisfaction I never found while pursuing the American Dream became mine. My Response: Which take on success is more motivating to me? Why? A corporation president called to offer me a job. He’d triple whatever I was making now. I’d never heard God’s voice so clearly! As my wife and I climbed on a plane, I envisioned a bigger house, newer car, security, success. During the job interview I asked how much time I’d be on the road. “Most of the time,” admitted the president. As we began the flight home my wife said, “The kids and I want to remember you for more than your rear end going out the front door.” But I was determined to take that job. During a short layover in Seattle, suddenly the restroom I was in began to shake. Knowing I was going to die, images flashed before me of friends and family—but not one of a car, home, or bulging bank account. It took an earthquake to teach me that a hundred years from now, no one will remember what my house looked like, the model of my car, or the thickness of my wallet. I’d say that’s a pretty accurate definition of our society’s version of success. I mean, think about it. Why are you wearing the clothes you have on? Or why do you drive the car you do? Why do you live in the house or the neighborhood you do? That’s right. But if you had the money to get a better car, nicer clothes, or a bigger home, you’d buy them, right? Most of us would. Why? So people will notice and think we’re successful. After all, in our society, how successful are we—really—if no one notices? Once, when Socrates saw a woman all dressed up for a trip to the city, he remarked, “I suspect that your trip is not to see the city, but for the city to see you.” It’s sobering, even heartbreaking, to realize how much of our lives we spend on the futile and frantic attempt to become and appear more successful than the very people Jesus has called us to serve and to honor above ourselves. My Response: How have I sometimes let concerns about image trump substance? Young Tom first darkened a church door when he needed a pastor’s signature on his Eagle Scout application. That started him on the path to faith. He followed his grandfather and mother into the newspaper business. Now in the corporate world, Tom looks for the humor in work to ensure that it doesn’t become an idol. A founding elder in his church, he’s developed a passion for encouraging others who, like him, struggle to balance jobs, family, and faith. The work world has dozens of ways to measure your success: your salary, your title, or the number of people who report to you. These days, even electronic gadgets can confer status. The competition to have the latest things can become a virtual electronic arms race. One guy (they are always guys when it comes to technology one-upmanship) shows up at a meeting with a color screen cell phone. Someone brings a camera phone that connects with the Internet. Someone else shows up with the combination cell phone and PDA (Precocious Demanding Accessory) with built-in GPS (Gratuitous Place Specifier). It finally gets out of hand when the boss arrives with his combination laptop, photocopier, espresso machine, and electronic fish finder. We mustn’t let trivial things define our success. It’s good to be recognized for our good work. But beyond that, a lasting, beautiful way of defining ourselves should be to center our identities in Jesus Christ. We’re to set our hearts and minds on things above. 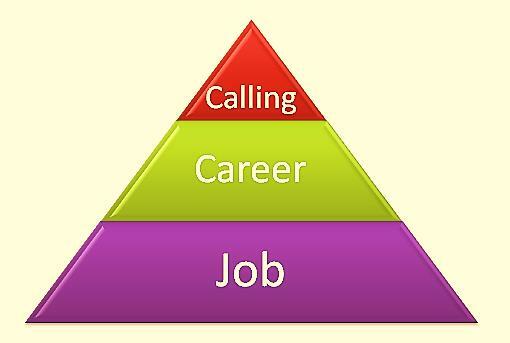 From Career to Calling – What Is My Calling? Jeremiah’s 40-year career was an assignment from God. As a prophet to Judah, he never achieved material success or influence, and often became discouraged. But he remained faithful to his depressing task through imprisonment, the fall of Jerusalem (which he had warned about), and deportation. What words did God use (vv. 5, 10) to describe His action in giving Jeremiah his life’s work? Do you see this assignment as arbitrary or based on God’s intimate knowledge of Jeremiah’s potential? What was the nature of Jeremiah’s assignment? What did Jeremiah say (v. 6) made him unqualified for this assignment? How did God deal with Jeremiah’s objection? Do you respond to new challenges with self-confidence? Are you confident that if God gives you a job to do He will provide all you need to do it? Did God’s promise to protect Jeremiah (v. 8) insulate him from trouble? Do you believe God has given you a specific call or assignment? If not, what mission, common to all believers, should you pursue—unless or until His guidance becomes more specific? Spend Time in Prayer: Ask God for an understanding of what His calling for you is, and for your ability to reflect glory on Him as you fill it cheerfully, competently, and diligently. 7 “Don’t say that,” the LORD replied, “for you must go wherever I send you and say whatever I tell you. 8 And don’t be afraid of the people, for I will be with you and take care of you. I, the LORD, have spoken!” 9 Then the LORD touched my mouth and said, “See, I have put my words in your mouth! Too often we make our career decisions strictly based on salary, benefits, position, influence, and titles. But Jesus warned that you can have all those things and still lose your soul. The question isn’t, what are you doing for a living? The deeper issue is, what are you doing with your life? Why did God put you here on the earth? We need to move beyond a career orientation to a mission focus. That’s a tremendous insight. Don’t just climb the ladder to get to the top. Use the higher position to impact the world for Jesus Christ. Realize that God has put you where you are “for just such a time as this” (Esther 4:14). Understand that behind every open door stands the Lord God who rules heaven and earth. What a huge difference it makes to see all of life as belonging to Him! Sitting in a waiting room while my Honda was being repaired, I noticed a man with shaggy white hair make coffee, pile doughnuts on a plate, and place literature on a table. Salesmen walking through the room addressed him with affection and respect. After he left I studied the literature; it was Christ-honoring. I learned from an employee that the man owned this and other dealerships, and that his take-charge decisiveness, coupled with kindness and humility, made him great to work for. When the man reappeared, I introduced myself and voiced appreciation for how he used publications to introduce customers to the gospel. He sat down. Soon after emigrating from Germany to America, he told me, Christ captured his imagination and secured his devotion and commitment. Achieving position and financial strength became subordinate to honoring his newfound King. The owner didn’t appear rushed, but attentive and thoughtful. If I weren’t yet a believer, I thought, his interest in me would draw me in and awaken interest in his literature. As he walked away, with friendly, cheerful demeanor, I thanked God for impacting many others through him. My Response: How might God use my interactions with coworkers to attract them to Him? What did John Wesley have to say about All Saints’ Day? The Great Plains Conference has a slightly spooky video that answers this question. Some of us go to work that excites us, demands our best, and rewards us with recognition. We are doing something significant that makes a difference and also makes money to take care of ourselves and our dependents. But after a few weeks or months, sometimes years, doing this work, the feelings and convictions that clustered around our becoming Christians become background to the center-stage drama of our work with its strenuous demands, energizing stimuli, and rich satisfactions. Along the way the primacy of God and His work in our lives gives way ever so slightly to the primacy of our work in God’s kingdom. The shift is barely perceptible, and it takes a long time for its significance to show up. But when it does, it turns out that we have not so much been worshiping God as enlisting him as a trusted and valuable assistant. On the job, we are dealing with what we know, and what we are good at. Why not ask God to help us in our work? He invited us to, didn’t He, when He said, “Ask … and you will receive”? Well, yes, He did. The problem is that reducing God to what I can use for my purposes, however noble and useful, becomes an act of idolatry. My Response: Am I working for God? Or asking God to work for me? It happens every semester at our university. I enthusiastically put together the syllabus, think of innovative teaching strategies, and fill out a spreadsheet with my class rolls. As classes begin, I meet the students, tell corny jokes, and try to get everyone as motivated as I am. A few weeks pass. I’ve given the first exam. Some students are catching on; others have done poorly. Some are missing classes. By mid-term I struggle to maintain my energy level. My corny jokes have gotten cornier. By the 10th week I realize just how long a 15-week semester is. We’re all dragging. I remind myself that I’m blessed to have this job and I’m responsible for those students. But still routines become, well, routine. Life starts to feel pretty old. We all long for more. God placed that longing in us. It’s what led many of us to seek and find Him in the first place. But His transforming power extends well beyond the moment of conversion. When Paul wrote, “A new life has begun,” he didn’t mean that the disciple has shifted to a new routine. He was describing an adventure in newness. The key: get yourself out of the way, and allow Christ, the very genesis of creativity, to transform you every routine day. My Response: How can I honor Christ by the way I tackle my job today? Here are excerpts from a recent article in Church & Culture with a Bible-based discussion of issues many are reluctant to address. Amanda, a 28-year-old Los Angeles resident, prays nightly and believes in Jesus. A staggering 41 percent of Americans believe in psychics. A stunning 42 percent believe spiritual energy can be located in physical objects. I recently did a series on the paranormal. You can get the installments in .pdf or .mp3 format HERE. I could tell it was one of the more eye-opening series I had ever done. Why? Because people genuinely didn’t know the difference between authentic spirituality and the world of the occult. I started off by mapping the spiritual world, specifically the great spiritual conflict in the heavens and the nature and work of angels and demons. 1. The disclosure or communication of unknown information unavailable to humans through normal means. This involves things like horoscopes, fortune-telling, psychic hotlines and tarot cards. That knowledge comes from somewhere—and if it’s not from God through the sources God has ordained, then it is through the evil one and his forces. There is no neutral and impersonal “Power” just floating around out there. Nothing that has a voice or can be tapped into—some kind of cosmic consciousness for secret knowledge about the future of a human life. Everything falls under heaven or hell, good or evil, God or the evil one. 2. The placing of persons in contact with supernatural powers, paranormal energies or demonic forces. This involves things like spiritual energy in a crystal or any other entity, attempting to summon up a spirit or a deceased relative through a séance, channeling a spirit, or procuring the services of someone claiming to be a medium. So what is happening when you get in touch with a ghost? It’s not a ghost. There is no such thing as a ghost. So what happens at a séance when Uncle John suddenly seems to appear or to talk through a medium? You are either being tricked (and many really are just flat out hoaxes) or you are in contact with a demon impersonating who you hoped to connect with. The first scenario makes you out to be a fool; the second is simply nightmarish. But in both cases, you are receiving knowledge, contact and advice that is not of God—it’s either of human origin or of demonic origin. 3. Any attempt to gain and master paranormal power in order to manipulate or influence other people into certain actions. In other words, all forms of witchcraft and the casting of spells. Being clear on this is important because of the rise of modern day witchcraft, which goes by the name of Wicca. So there you have it. A map of the supernatural world. On the one side you have God and His faithful angels. On the other side the world of the paranormal, or the occult, which is the world of Satan and his demons. These are the only two worlds. These are the only two forces. These are the only two sets of beings. There isn’t anything else. One of them is good, the other is evil. There are a lot of ways, sadly, that Satan and his team seduces us to engage the evil side—to open our lives to it and to invite it in without even knowing it. And when we do, whether we are aware of it or not, we are engaging the forces of darkness. We are connecting with Satan and his demons. We are willfully opening up the door of our life to their presence and activity. And nothing could be more dangerous. Initially it might seem benign, even innocent, for as the Bible says, Satan positions himself as an angel of light. But then the evil engulfs you. And it’s even more than playing with fire. It’s dousing yourself with gasoline and then lighting the match. Our innate desire for dignity and self-respect can be satisfied only when we discover our purpose, which will embrace our work. When we can use our gifts and creativity on the job, we find great satisfaction in it. Anyone who hasn’t had a similar experience, doing a concrete task well, with the pleasure that brings, has had a poor life indeed. We all feel connected to the truly good things in life through work. Don and his artist wife, Cathy, also give out “a whole lot” of Bibles at their Westcliffe, Colorado, ranch ministry. One patient the Lord sent my way was a biker who considered himself too tough to use anesthetic for his dental treatments. But in conversation during his treatment, the man revealed that he was concerned about his son, who was in trouble with the law. “Would it be all right with you if we prayed for your son?” I asked. The man said it would be great, so we did. “Then we have to pray again to thank Jesus and ask him to make this a positive experience in the young man’s life!” I said, and we did. Two weeks later when the father returned, he reported that his son was given probation and has to “keep his nose clean” for the next two years—a positive outcome. Fear can be crippling. For weeks after the robbery of her car at gunpoint, one missionary colleague feared to leave the safety of her home at night. It became a very real challenge to participate wholeheartedly in the ministries in which she served, especially in light of the fact that the people to whom she ministered were part of a night-oriented culture. In such circumstances, missionaries need the prayers of their partners for fearlessness in sharing the gospel. On one occasion our youth drama team was the first group allowed to perform in the main square of a city we’d entered. The city, known for its rugged and independent individuals, had very few evangelicals and had in the past been hostile toward any group that openly proclaimed the gospel. Knowing that we would need a special God-given boldness to take advantage of the opportunity we’d been afforded, we spent much time in prayer. God answered those prayers and calmed our doubts and fears. In spite of hecklers, a car accident that took place as we performed our drama, and the loud music of a nightclub nearby, we were able to share testimonies of the transforming power of Christ in our lives. My Response: I’ll pray for calm courage for a missionary in a threatening situation. Prayer for the Week: Lord, help me to grasp the critical needs of one missionary well enough that You can specifically respond to my prayers on his behalf. In Rome, Paul wasn’t addressing his audience in his mother tongue. His prayer request for clarity wasn’t just about making a suitable defense to his accusers. He was soliciting divine help for addressing the spiritual condition of his hearers. This prayer request obviously applies to those learning a new language. Clarity of expression means much more than knowing how to buy goods or exchange money in the marketplace. It involves cultural understanding, application of idiomatic expressions, gestures, and tone of voice. Because language learning involves becoming childlike and relying upon the help of others, it’s a task not easily accepted by those with many years of education and ministry experience behind them. This request isn’t limited to missionaries in their first term of service. No matter how long a missionary has served, his adopted language is still his second language. When he is tired or under the attacks of the enemy, speech doesn’t necessarily flow easily in the same manner as with the mother tongue. Even veteran missionaries need God’s help in talking to heart issues and adequately conveying the life-transforming good news of Christ to a people. My Response: I’ll pray for one missionary friend to become proficient in his target group’s heart language. Although Paul was a missionary pioneer, he was no lone ranger. He was keenly aware of his need for prayer backing. In his letters to young congregations, he typically solicited their prayers for him. His requests tell us a lot about how we should be praying for the gospel ambassadors we know today. Why do you think an alert mind is required (Col. 4:2) for effective intercession? What might devoting yourself to prayer involve in your case? How can you counter the out-of-sight-out-of-mind tendency (Col. 4:3) in your praying? What clues does Paul’s request for bold witness in confinement (Eph. 6:19-20), instead of release from it, give you about how you should pray for those in unsettled situations? Are you aware (2 Thess. 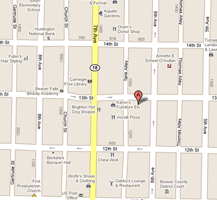 3:1) of areas where the Lord’s message is spreading rapidly? How about areas where it appears to be stalled? How should you pray for each? 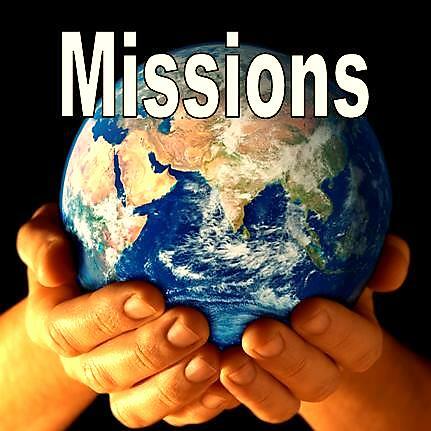 Recognizing that missionaries are on the “front lines” of spiritual warfare (2 Thess. 3:2), what kind of “prayer cover” is essential? Spend Time in Prayer: Ask God to help you discern specific real needs of a Christian worker and persistently pray for His answers. 2 Devote yourselves to prayer with an alert mind and a thankful heart. 3 Don’t forget to pray for us, too, that God will give us many opportunities to preach about his secret plan—that Christ is also for you Gentiles. That is why I am here in chains. 4 Pray that I will proclaim this message as clearly as I should. 19 And pray for me, too. 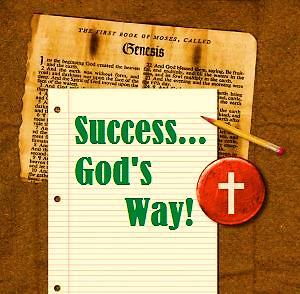 Ask God to give me the right words as I boldly explain God’s secret plan that the Good News is for the Gentiles, too. 20 I am in chains now for preaching this message as God’s ambassador. But pray that I will keep on speaking boldly for him, as I should. 1 Finally, dear brothers and sisters, I ask you to pray for us. Pray first that the Lord’s message will spread rapidly and be honored wherever it goes, just as when it came to you. 2 Pray, too, that we will be saved from wicked and evil people, for not everyone believes in the Lord. Here are some interesting extracts from an article in October’s Christianity Today about what we believe. American evangelicals are “deeply confused” about some core doctrines of the Christian faith. For the third time, Ligonier Ministries has examined the State of Theology in the United States, conducted by LifeWay Research and based on interviews with 3,000 Americans. The survey, also conducted in 2014 and 2016, offers a detailed look at the favorite heresies of evangelicals and of Americans at large. Overall, US adults appear to have a superficial attachment to well-known Christian beliefs. For example, a majority agreed that Jesus died on the cross for sin and that he rose from the dead. However, they rejected the Bible’s teaching on (1) the gravity of man’s sin, (2) the importance of the church’s gathering together for worship, and (3) the Holy Spirit. “However, all these beliefs are contrary to the historic Christian faith,” stated Ligonier, citing Romans 3:10 on sin, John 14:6 on God, and John 1:1 on Jesus. It’s never been popular to talk about mankind’s sinfulness or the exclusive claims of Jesus Christ. But at a time when a darkened world needs the light of the gospel, it’s disheartening to see many within the evangelical church confused about what the Bible teaches. One such experience was in the fall of 1994. I had a number of errands to run and had taken our daughter with me to give my wife some time alone. I first went to the bank near our Porto Alegre home and encountered a terrible line-up at the tellers. Like any North American, I chafed over the wasted time and the difficulty of keeping a three-year-old entertained in the line. When we finally got out of the bank, we headed for item two on my list—send some letters. We headed on foot for the post office, and were surprised to see three or four police cars and an ambulance parked nearby. When I enquired, I learned that 20 minutes before there’d been an armed robbery, with shots fired and two customers injured. Looking at my watch, I realized that a bank line-up had saved us from being in the line of the robbery fire! That night we gave thanks as a family for bank line-ups, for God’s perfect timing, and for the many people we knew were praying for our personal safety. My Response: I’ll pray for safety and physical and emotional health for a missionary friend. Quick Quiz – Do You Believe a False Teaching? A 2014 survey conducted by LifeWay Research for Ligonier Ministries reveals that many American evangelicals hold views condemned as heretical by some of the most important councils of the early church. Nearly a quarter of participants believe false teachings about Jesus, and more than half about the Holy Spirit. 1. God the Father and Jesus Christ are equally divine. 2. Jesus is a hybrid, partially divine and partially human. 3. God the Son is uncreated. 5. The Holy Spirit is less divine than the Father and the Son. The Council of Nicaea in 325 affirmed that the Father and the Son are of the same divine essence, and condemned Subordinationism, which teaches that Jesus is inferior to the Father. Apollinarianism, condemned at the Council of Constantinople in 381, taught that Jesus is not equally human and divine, but is one person with one nature. Jesus has a human body and soul, but a divine mind. The Council of Nicaea affirmed that the Son is coeternal with the Father, and condemned Arianism, which taught that the Son was created by God before time. The Council of Constantinople affirmed that the Spirit is coequal to the Father and Son, and condemned Pneumatomachianism, which taught that the Spirit was a created force or power, not a person of the Trinity. Subordinationism, ruled out by the Nicene Creed, teaches that the Spirit is inferior to the Father and the Son. Among some peoples the gospel, which is the power of God to change lives, has moved in and made wonderful transformations. Other groups—in large, sprawling cities as well as distant jungles—are hostile, untrusting, and unresponsive to missionary efforts. Many resistant peoples still have little or no visible Christian church. Missionaries go out in God’s power, knowing they aren’t always guaranteed success but longing to see the hearts and minds of the people they’ve come to love changed, to see whole cultures bend their knee to the lordship of Christ. Jack Campbell, a missionary to Guinea, West Africa, shared the joy of seeing a substantial number come to the Lord from the tribal group with which he works. Fifty years of previous missionary efforts had produced only a handful of believers. The turning point, he says, was when a large group of people began to fast and pray specifically for the responsiveness of this tribe. So pray that your missionaries may find the favor and love of the people to whom they minister. Pray that the gospel will be fruitful and well received among them, as it was with you. My Response: I’ll ask God to direct a missionary friend to someone whose heart He has already prepared. I asked people to commit to praying for opened doors for the ministry I served in Porto Alegre, Brazil. A small group began to pray specifically for this. God surprised us by the doors He opened in response to the prayers of our partners. The opportunity to work together with Campus Crusade for Christ and use the Jesus film with many other Christians in our city was indeed a welcomed window of opportunity that we hadn’t anticipated. We saw another door opened when a senator welcomed us and worked with us in seeing an outreach planned for high-level city and state government officials. What we experienced in the unity and fruitfulness of the Jesus Film Project in 1998 can only be explained by the people praying for such open doors. Many doors remain closed. Some are large and reflect the greatest challenges for the church in the new millennium. These are the nations and people groups where access is restricted or hindered. Some doors represent influential people in a city or tribal situation. These unopened doors present a tremendous opportunity for God’s people to enter into a prayer partnership with missionaries, seeing them opened to the gospel. My Response: I’ll pray for one closed door to open for a missionary I know. Dwayne and his wife Rhonda are Canadian missionaries currently serving with the Christian and Missionary Alliance in Mexico City. He directs the Leadership Training Institute know as CETA, which offers a program of evening and weekend classes that provide training for believers. They previously served in Brazil for ten years, and in Canada. In the battlefield of today’s missionary efforts, Satan uses many weapons. At times these weapons are obviously directly sent from him to obstruct or discourage God’s messengers. Other times his weapons are people who are unaware that they are being manipulated to achieve his hellish goals. Many times his weapons are also subtle circumstances that dissuade, discourage, or distract the missionary from accomplishing God’s purposes. That’s why prayer for missionaries mustn’t be a vague, uninformed exercise. “Lord, bless the missionaries, whoever they are, wherever they are, and whatever they are doing—I’m sure they need your help” isn’t an effective way to be a partner with God in and through missionaries. As a missionary I often struggle with the task of writing prayer letters that creatively communicate the very real needs that my family and I face. I desire to do so in such a way that their prayers and participation will be effective and rewarding. My experience is that when God’s people pray specifically, He answers those prayers specifically. God’s ambassador, as Paul referred to himself, wrote his letters to the churches of Ephesus, Colosse, and Philippi from prison. But his upbeat emphasis is on evangelism, discipling, and prayer. In this paragraph (and a parallel one, Colossians 4:24) he lets his readers know why intercessory prayer is vital. How can anyone pray at all times? How does the Holy Spirit empower your prayers? Are you praying for the growth of Christians you know? How can you pray for believers around the world? What two qualities did Paul single out (in. 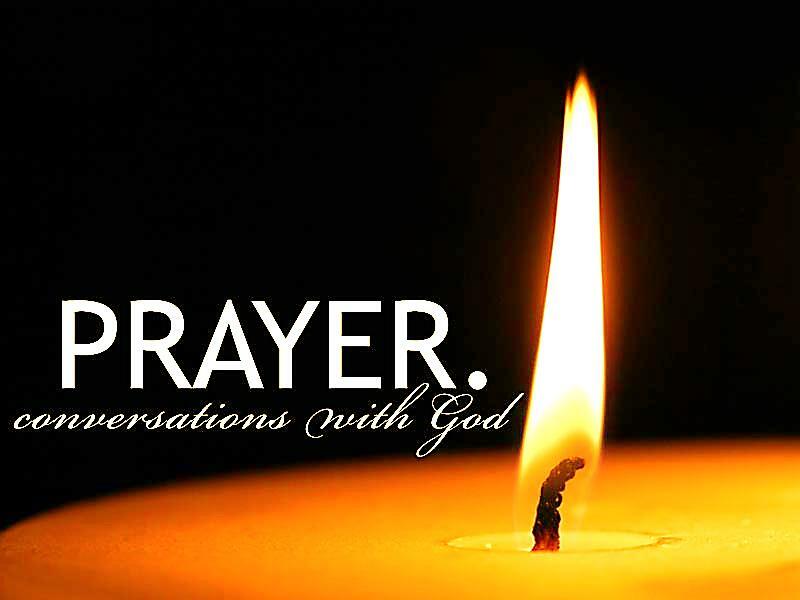 v. 18) as key in intercessory prayer? Why do you think these qualities are essential? What two prayer requests did Paul present for his own ministry? What lesson is there for us in what Paul did not request prayer for? Spend Time in Prayer: Ask God for the resolve to be alert and persistent in your prayer life, experiencing His power working on behalf of believers both nearby and at a distance. 18 Pray at all times and on every occasion in the power of the Holy Spirit. Stay alert and be persistent in your prayers for all Christians everywhere. 19 And pray for me, too. Ask God to give me the right words as I boldly explain God’s secret plan that the Good News is for the Gentiles, too. 20 I am in chains now for preaching this message as God’s ambassador. But pray that I will keep on speaking boldly for him, as I should. Prayer for the Week: Lift my prayer horizons, Lord, above my own welfare to the expansion of Your kingdom. [continued from yesterday] President Museveni asked Bob to help organize a prayer breakfast for Uganda. People of every tribe, religion, and station attended. Speakers admitted the hate they’d held for others, and told how much they’d been changed by God. “That sounds like a great idea,” said Bob. Bob went and met with Mandela, de Klerk, Buthelezi, and other leaders. He read 1 Corinthians 13, the Bible’s love chapter. Christians from Kenya, Zambia, and Uganda spoke of how forgiveness was critical to South Africa’s success. This message proved pivotal in that nation’s bloodless transition from white to majority rule. Bob Hunter’s little group is still meeting to pray for Africa. And mountains keep moving! My Response: What “mountain” have I witnessed being moved in response to prayer? During a Confirmation Class, the pastor asked a group of mostly 13- and 14-year-old students to name some things Christians—and specifically United Methodists—do that most other people do not. The sacrament of Holy Communion is such a common occurrence in the landscape of our worship that its uncommon richness sometimes gets lost. Due to a lack of ordained clergy in the early days of the church in the United States, a history of receiving the sacrament quarterly (four times per year) is the habit in some places. The vast majority of United Methodist congregations in the United States (97% in the most recent study) now celebrate the Lord’s Supper at least once per month. The Lord’s Supper, Holy Communion, and the Eucharist are all names for this sacrament celebrated by United Methodists. Each of these names highlights an aspect of this act of worship. The Lord’s Supper reminds us that Jesus Christ is the host and that we participate at Christ’s invitation. Jesus invites us to take part in the special meal he ate with his disciples the night before his crucifixion, and other meals he shared in homes and on hillsides. The term Holy Communion invites us to focus on the self-giving of the Holy God which makes the sacrament an occasion of grace, and on the holiness of our communion with God and one another. Finally, “Eucharist, from the Greek word for thanksgiving, reminds us that the sacrament is thanksgiving to God for the gifts of creation and salvation. “Ecumenically, the term ‘open communion’ … means that all of the baptized are welcome to receive,” explains the Rev. Taylor Burton-Edwards, director of worship resources with Discipleship Ministries. This distinguishes our invitation from some other Christian denominations that may require additional rites before one is welcome to the table. “United Methodists do not practice ‘wide open communion,’” Burton-Edwards continues. “We are instructed to use the invitation as it appears in our ritual to make clear whom Christ does invite to his table. There are no conditions for church membership or completion of a class required. In addition, there is no minimum age. Even baptized infants are invited. To whatever degree they’re able to participate in the Great Thanksgiving—even if that’s simply being held in their mother’s arms while they sleep—they are there. They are part of what we are all doing together, so they are welcome to receive. During the next part of the service, we prepare ourselves to offer a sacrifice of praise and thanksgiving by repenting of sin and seeking to live in peace with one another. The Peace then follows, where we offer one another signs of reconciliation and love, affirming our desire to live as a reconciled community in Christ. It is appropriate that the bread eaten in Holy Communion both look and taste like bread. The use of a whole loaf best signifies the unity of the church as the body of Christ and, when it is broken and shared, our fellowship in that body. The use of a common chalice best represents Christian unity, but individual cups are used in many congregations. This story uses the word juice over wine because historically, United Methodists have been committed to use “the pure, unfermented juice of the grape.” That came out of our involvement in the temperance movement in the 19th century and into the 20th century. It is also out of an ongoing concern for persons for whom alcohol may be a problem. During the next part of the service, the pastor leads the congregation in a prayer called The Great Thanksgiving. Our sacrifice of praise and thanksgiving is The Great Thanksgiving. That’s why it’s essential that the people participate actively in this. We join in the ancient tradition of sacrifice by offering God our praise and thanksgiving for the wondrous gift of salvation (see Psalm 141). We offer ourselves and our gifts of bread and wine to God with thanksgiving. Then we ask for the Holy Spirit to be poured upon us and these gifts, that they may become for us the body and blood of Christ, nourishing us, who have been redeemed by his blood, to be the body of Christ in the world. We conclude praising the Triune God—Father, Son, and Holy Spirit—before uniting our voices in the Lord’s Prayer. Then the bread is broken, and the body and blood of Christ are given to those who come to receive. Holy Communion brings together our worship and our work in the world. Communion is our meal, It is our feeding. We need that sustenance and we need it regularly. All this is God’s gift to us. We are fed with the body of Christ by the Father and empowered by the Spirit to live as Christ’s body in the world. Dipping bread into juice may seem a little odd, but it is an important sign of our life as disciples of Jesus Christ. When we receive ‘the body and blood of Christ that we may be for the world the body of Christ redeemed by his blood,’ we are remembering. God’s work of making us one and uniting us with Christ, with each other and in our witness and life in the world—is the ordinary way by which God feeds us, sustains us, and empowers us to live as Christians in the world. [continued from yesterday] Bob took his first trip to Uganda to visit the hospital just as dictator Idi Amin was being pushed out. Convinced that helping the hospital was futile without working on reconciliation in the ravaged country, Bob met the parliamentary leaders friendly to the new president, Milton Obote, and those who opposed him. He found each side willing to meet with him but not with each other. “Lord, how can we get these guys to sit together and heal their land?” he prayed. The answer came quickly. Waiting for his plane during a layover at the Nairobi airport, Bob sat next to an American missionary. She was the daughter of Andrew Young, then mayor of Atlanta. She suggested that Bob call her father and ask him to visit Uganda. Bob called. Andrew Young agreed. For some reason, the thought of praying for Africa stuck with Bob. He and one other man studied a map to learn the names of countries formed since they were in high school. Then they began praying for this vast continent. A couple of other men soon joined them. Back in the 1970s Idi Amin was executing thousands in Uganda. So the group prayed in earnest for Uganda. They asked God to raise up a worker from its capital, Kampala, whom they could support. My Response: Something bigger than myself that I feel led to pray for is ____. Bad-mouthing a manager is commonplace today. Employees crack jokes and bash their leader out of lack of respect, distrust, and dislike. But this behavior only worsens what might already be a bad situation. Imagine what work would be like if, instead, all the employees began praying for their leaders. If we all chose to lift up in prayer the people we feel at odds with, great things could happen, not just for them but for us as well. Paul wrote in 1 Timothy 2:1-2 that we’re to pray for everyone. He singled out governmental authorities; but his directive could also apply to leaders in virtually all organizations. Why pray for your boss? Because God allows us to help Him change people and situations. The more we acknowledge others in prayer, the more God will work in them and the circumstances surrounding them. God helps you through your prayers to see your boss through His eyes—and your heart will begin softening toward this person for whom you’ve previously felt anger, bitterness, or contempt. Before you leave for work each morning, pray for your boss. This could avert a snide remark or words spoken in anger. My Response: I’ll commit to pray weekly for ______, my supervisor. Raise Your Prayer Sights – Bless That Bozo? I became close with five guys in a Bible study on our campus. But one evening a 6’5″ football player burst into our quiet gathering, extended his hand in all directions, and bellowed out his name. Big Wally was joining our group. During the weeks that followed, I listened resentfully to this primitive extrovert boom out his airhead religious views. Wally had ruined our tranquil, reflective atmosphere. Fortunately, our study leader altered how we opened our sharing time. He asked us to pray silently for each group member, thinking of their needs and claiming God’s assistance in their lives. I prayed for the person on my right and left and then came to Wally, sitting across from me. I tried to pray about the biology test he was facing and the girlfriend who’d dumped him. That simple act jolted me awake. I just couldn’t think of Wally in the same way. He required my help, and I needed his. I began to see things I admired in this guy. The more we prayed together, the more I came to like Wally, until one evening I found myself jumping on a sofa with him, wildly celebrating an answer to prayer. His raw enthusiasm had become infectious rather than offensive. My Response: Starting today, I’ll pray for _____, who rubs me the wrong way. We invite you to take a short quiz to test your knowledge on the sacrament of Communion in The United Methodist Church. Be sure to share the link with friends so you can compare scores! Who Said It…John Stackhouse Jr.
John teaches theology and culture at Regent College, a graduate school of Christian studies affiliated with the University of British Columbia. He frequently comments on contemporary religion and culture in the news media. John enjoys skiing the Vancouver-area mountains with his wife and three sons, and playing basketball and hockey with his students. He also loves to play jazz—on piano, guitar, or electric bass. Are those currently riding high in Christian esteem immune to the sins that beset the rest of us? Even in spiritual matters, the bigger they are, the harder they fall. The very traits that help people succeed make them vulnerable to pride, lust, and greed. I remember a bishop respected for his compassion for the poor who confessed to financial mismanagement—and a Christian pop singer whose affair with another performer broke up her marriage. I’ve prayed for these and other disgraced heroes, those they hurt, and those left to pick up the pieces. But I’ve resolved to pray regularly for several leaders who’ve blessed me and have not fallen. I pray that they’ll remain morally upright, care properly for their families, discern how God would best use them, and enjoy walking with Him more and more. Whose ministry are you glad for? Your pastor? A local writer, speaker, or singer? A renowned Christian whose work has impressed you? Why not select a few leaders to protect with your prayers? Ephesus was a wealthy city, and the Ephesian church probably had some prosperous members. Paul advised Timothy to instruct them about how to regard and use their resources. But he also warned Timothy to be on his guard against those whose involvement in the church was based on greed. Paul’s counsel fits our era just as well. If religion shouldn’t be seen as a way to get rich, how can it be the source of great wealth? How can the perspective of verses 7-8 help you distinguish between needs and wants? To what extent can advertising to stimulate demand in our consumption-driven economy undermine the contentment urged in these verses? How much do you think your outlook has been affected by this advertising? How have you seen greed ruin marriages, friendships, or business relationships? Why is trusting in the security of savings (v. 17) a trap? What is the antidote for relying on accumulated wealth (vv. 18-19)? Do you really share Paul’s confidence (v. 17b) about how God relates to His children? Spend Time in Prayer: Ask God for satisfaction when your basic needs are met, acceptance of what He’s doing in your life, and fulfillment in relating to others in His work. 5 These people always cause trouble. Their minds are corrupt, and they don’t tell the truth. To them religion is just a way to get rich. 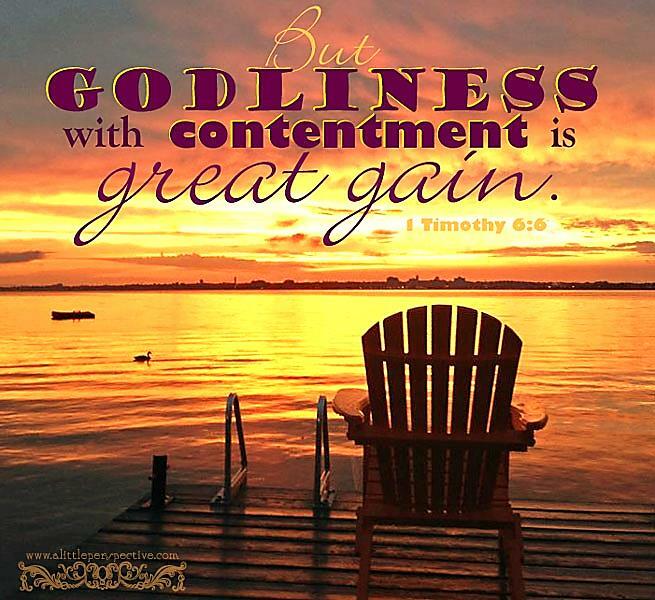 6 Yet true religion with contentment is great wealth. 7 After all, we didn’t bring anything with us when we came into the world, and we certainly cannot carry anything with us when we die. 8 So if we have enough food and clothing, let us be content. 9 But people who long to be rich fall into temptation and are trapped by many foolish and harmful desires that plunge them into ruin and destruction. 10 For the love of money is at the root of all kinds of evil. And some people, craving money, have wandered from the faith and pierced themselves with many sorrows. 11 But you, Timothy, belong to God; so run from all these evil things, and follow what is right and good. Pursue a godly life, along with faith, love, perseverance, and gentleness. 17 Tell those who are rich in this world not to be proud and not to trust in their money, which will soon be gone. But their trust should be in the living God, who richly gives us all we need for our enjoyment. 18 Tell them to use their money to do good. They should be rich in good works and should give generously to those in need, always being ready to share with others whatever God has given them. 19 By doing this they will be storing up their treasure as a good foundation for the future so that they may take hold of real life. I entered a shelter along the Appalachian Trail late one afternoon after witnessing incredible overlooks and enjoying nature’s beauty up close. But there was one problem—my pack was too heavy. My shoulders were aching, and my neck felt like it needed one of those thick, padded braces. I’d packed way too much food and dreaded lugging the heavy pack the next day. So I started giving away dried fruit and granola bars to the other hikers settling in for the night. They probably thought it odd, but accepted the provisions I’d (unknowingly) been carrying for them. I’d never been such a cheerful giver! Today’s verse reminds me that if I carry too much bartering power, my journey will suffer. Understanding my limitations has become the most efficient, least painful way to carry my pack. Some of us are stronger than others. A friend of mine carries large bank accounts in his “life pack,” and it seems to never slow him down. However, for others of us, our loads are lighter because our heavenly Father knows what we’re able to heft. Seeking to fill our packs and pockets is a grave mistake. As we learn to trust God more fully, we know He’ll meet all our needs—so there’s no need to overpack! [continued from yesterday] The third weapon of contentment is a realistic reach. Before you set a goal, candidly assess the time, the talents, and the resources you have. Jesus rebuked those who started a tower without calculating what it would take to finish it. We must know our strengths, and limitations. Our lives were meant to be built on the capabilities and personality strengths a good God has given us. We don’t need to strain to be somebody else. There’s great satisfaction in focused energy and completed towers. If your reach will compromise a quiet center or push you beyond the boundaries of peace, consider it too expensive. King David revealed the secret of his relaxed spirit: “Lord, my heart is not proud; my eyes are not haughty. I don’t concern myself with matters too great or awesome for me. But I have stilled and quieted myself” (Psalm 131:1-2). To be content with our life position cancels out the reach for more. It means that who we are is okay—our looks, our abilities, our singleness. Where we are is okay too—our address, our school, our job, our position. And contentment includes how we are, even in a sickbed or with an empty wallet. My Response: When has my appetite for more created the stress I deplore? Our outside environment pushes us to compare, complain, compete, and conquer. To avoid chronic discontent, we need to counter with three kinds of inside pressure. First, we need to renew our confidence in our secure Source. When something happens to our paycheck or our best friend, we feel fearful and restless. But those are only vehicles of God’s supply, not the Source. He’s infinitely creative in finding other ways to send what we need. After all, our Father invented manna in the wilderness, water from a rock, and food delivered free by ravens. If we belong to Him, our Source is beyond the reach of any recession, depression, or hydrogen bomb. Second, we fight discontent with a grateful memory. David’s memory was working well when he told King Saul, “The Lord who saved me from the claws of the lion and the bear will save me from this Philistine [Goliath]!” (1 Samuel 17:37). My Response: Is my ultimate security based on savings, investments, or insurance? Life is never good enough for some people, while others have great joy even though their lives are plagued by problems. According to the apostle Paul, the problem for those who are never happy is that “their minds and consciences are corrupted” (Titus 1:15, NIV). It’s as if a bad computer virus has corrupted all their spiritual files. We’re all created to enjoy this brief life by finding the marks of the Creator in everything He’s made. Yet sin has distorted our vision, making it hard for us to see God’s good work. Instead we see only a world that’s not good enough, a family that’s imperfect, or friends and colleagues who don’t appreciate us. It’s tempting to just get new friends, change jobs, and bombard our family members with criticism. Yet the problem doesn’t lie out there. It lies in our own corrupted minds and guilt-ridden consciences. Until we deal with these corrupted files through confession, the invitation to joy won’t compute for us. That’s because joy is essentially an expression of gratitude, and nothing makes us as grateful as believing we’re forgiven. When we’re overwhelmed by the grace we’ve received, it’s hard to be judgmental of the world around us. My Response: Today, I’ll thank God for my most basic blessings. “Should we make it diesel?” I asked. Peter sat there stunned and undecided. He’d always thought, When I get to this level and have these things, then I’ll be content. Was that his conscious thinking? No. Was it his practical behavior? Yes.